If you’ve recently setup a business, you may be eligible for a personal tax relief…. Rate payers who put money into a new business last year may have the right to deduct up to 20% of the investment off their personal income tax. Check to see if this applies to you! 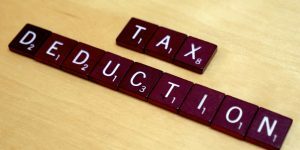 If during the last tax year you put up funds towards the creation of a new business; or if you subscribed to a capital expansion of a small business founded no more than three years ago, it is possible that you can claim part of the investment off on your personal income tax (IRPF) this year. The tax relief scheme is called “the deduction for the investment in businesses of new or recent constitution” (deducción por inversión en empresas de nueva o reciente constitución). The relief is worth 20% of the investment, up to a maximum of €50,000 invested per rate payer per year. Don’t delay – if you know you have the right to tax relief, get your paperwork sorted out ASAP! They must present declarative tax form 165 (Declaración informativa de certificaciones individuales emitidas a los socios o partícipes de entidades de nueva o reciente creación) to Hacienda detailing your investment. If the company does not do the above, you are likely to encounter problems when claiming your tax relief on your IRPF, with Hacienda initially rejecting your application until you are able to prove your investment. If you think you are eligible for the tax relief, chase up the company to verify that they have presented declarative tax form 165, and obtain the accredited certificate to add to your IRPF when you present it later this year. 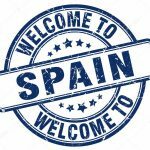 Cervantes Alarcón Consulting are tax accountants who can take care of all this for you – we work closely with companies and tax payers to ensure their liabilities are minimised. Contact us for more information or for us to present your tax form for this year.